Freeze for three hours. Remove and use the popsicle sticks to guide some of the raspberry halves toward the top if desired. 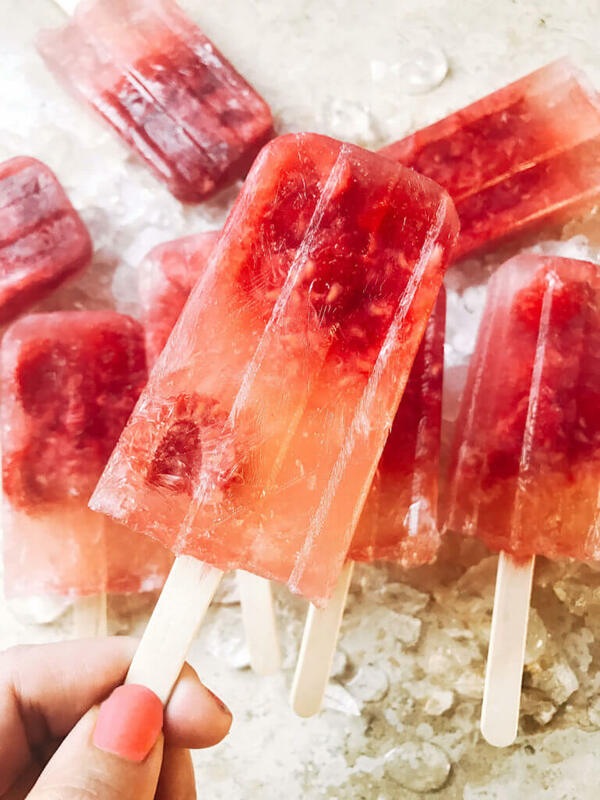 Spoon the raspberry puree into each popsicle mold, leaving a gap of just 1/8-1/4″ at the top so that it has room to expand. (See note).